Elena Bosch, The Role of Red Cross Aid in the Prisoners of War Camps on the Siam-Burma Railway, BEAW Research Paper, 2 (2012). Shaun Corrigan, The Generalship of Jan Smuts during the First World War, BEAW Research Paper, 4 (2014). Ashley Jackson, The Colonial Film Archive and the British Empire at War, 1939-1945, BEAW Research Paper, 1 (2010). Kevin Noles, Recruitment and Motivation of the Indian National Army, BEAW Research Paper, 6 (2014). Sue Smith, Quakers and the End of Empire in India, BEAW Research Paper, 3 (2013). Maikel Vrenken,The British and Dutch in the Netherlands East Indies 1945-1946, BEAW Research Paper, 5 (2014). 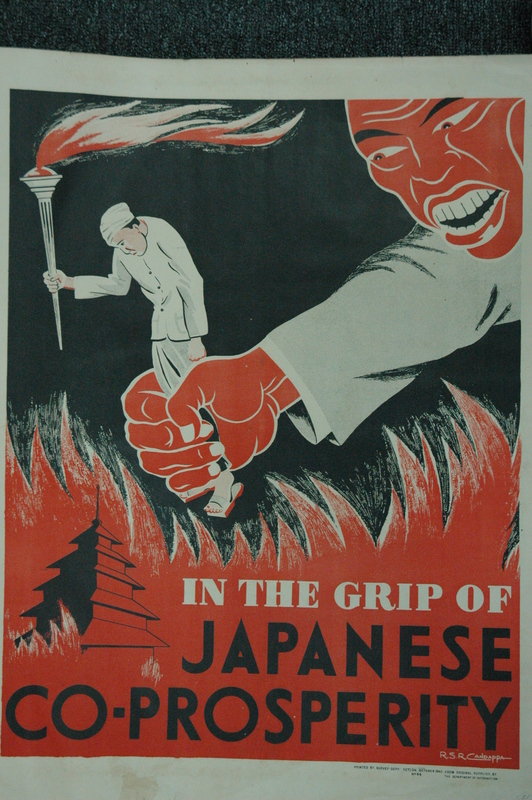 Attempting to steel the morale of the Sri Lankan population, this poster offers a frightening view of what life would be like if the Japanese invaded. Copyright Sri Lanka National Archives.